Being fit isn’t something you can achieve and check off your list. It’s a lifelong journey during which we can always work on improvements. 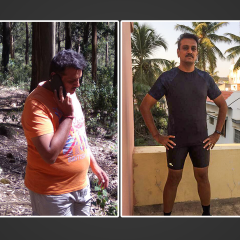 Although having been an avid cyclist for the past 10 years, a full-fledged fitness journey for Chirag started only 4 years ago when he became a fitness trainer. Prior to embarking on the fitness journey, he was a dancer and a choreographer. 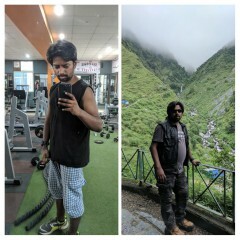 For Chirag, just working out on a Sunday morning or any one day of the week is not good enough. Hence, he works out daily. It takes patience, time and consistency to achieve a fitness goal. 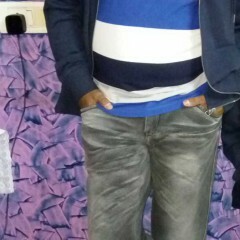 He cycles to work and also indulges in Aerobics, muscle strengthening along with a healthy diet. 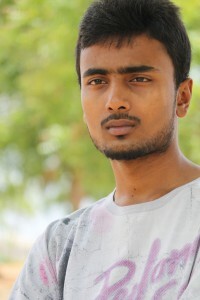 He is a regular at Active Sunday’s in Bengaluru as he loves the idea of working out in groups as it’s calm and peaceful. His health message to all is, “Take care of your body, it’s the only place you have to live”. According to World Health Organisation (WHO),definition of Health states :“Health is a state of mental, physical and social wellbeing and not merely the absence of any disease or infirmity”. A lot matters on what we eat, how it is prepared and when we consume that food. 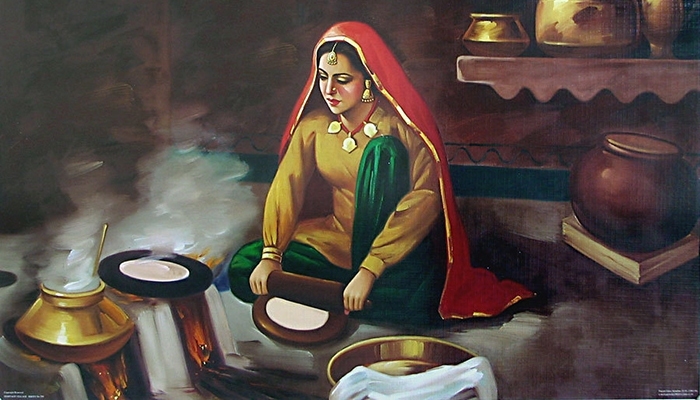 One of the main ingredients that we Indian use in our food preparation is Oil. The usage of the right oil and how much oil you use in your meal preparation can make or break your health. Hence, choosing the right kind of fat/oil is important. It is even more crucial for people who lead an extremely busy lifestyle. India is the second largest producer of rice in the world next to China, producing about 100 MMT every year. 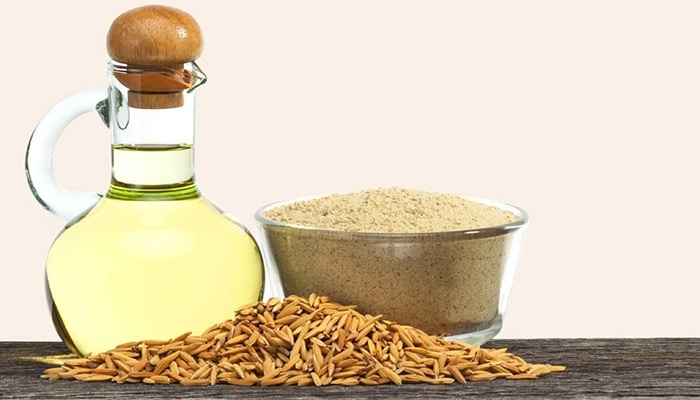 Rice bran oil(gamma oryzanol) is extracted from rice husk and germwhich is notable for its high smoke point of 232 °C (450 °F),longer shelf life and its mild flavour, making it suitable for high-temperature cooking methods such as stir-frying and deep-frying. According to the latest recommendations by National Institute of Nutrition (NIN) and Indian Council of Medical Research (ICMR)the ideal fatty acid composition of an oil is 27-33% (saturated fatty acid): 33-40%(monounsaturated) : 27-33%(polyunsaturated) and rice bran oil is closest to this recommendation.Its percentages being SFA (24%): MUFA (42%): PUFA (34%). It has a balanced fatty acid profile. 1) Ricebran oil contains Vitamin E in forms (Tocopherol and Tocotrienol),which are natural antioxidantsand help fighting free radicals,(free radicals are the dangerous by-products of cellular metabolism that can cause healthy cells to mutate into cancerous cells),as it helps to improve neurological functioning and balances the endocrine hormones. 2)Squalene,antioxidant in rice bran oil, works wonders in improving skin health as it acts like a natural moisturizer, prevents the formation of wrinkles and delays skin ageing protecting the skin from sun damage. 3)Oryzanol,antioxidant in this oil reduces cholesterol levels in your blood and liver. A low carbohydrate diet cooked in rice Bran Health Oil, helps reduce triglycerides (tg), reduces the bad cholesterol (LDL) and improves the good cholesterol to bad cholesterol ratio (HDL/LDL) which is very important for heart health.The World Health Organization (WHO) recommends rice bran oil as the best choice for improving serum cholesterol. 4)Rice brain oil is hypoallergenic so will not cause any allergic reactions when used in cooking, and can also calm your allergic reaction system in the body, preventing hyper-sensitivity to other unusual allergens. 7)Rice Bran oil, in spite of having high calories and fat constituents, has the ability of controlling weight gain. Owing to its viscosity, the oil is not absorbed by food prepared in it. However, the health benefits and the flavour will be retained in the food reducing the calorific value of the food. ‘Last but not the least –‘Moderation is the key to good health’. Therefore, just like any other oil – its use is recommended in moderate amounts. NIN (National Institute of Nutrition) recommends 25 gm per day of oils and fats for adults with sedentary lifestyle while for individuals involved in hard physical work require 30 to 40 gm oils and fats. Diets of young children and adolescents should contain 30 to 50 gm per day of oils and fats.The oil is useful for post pregnancy external massage. It is completely safe to consume for pregnant women. But,it is always good to consult your doctor before having it during this period. I visited a village sometime back and was amazed at the physical strength of the women there. While I do not deny that the rural areas have their own set of health issues, but, it cannot be denied that women, due to the physical labour that they are involved in, are much stronger than many urban women. 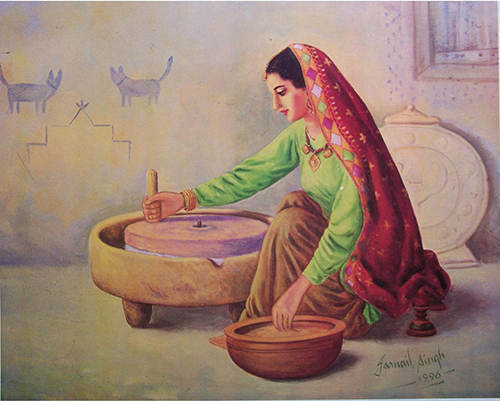 The act of using a hand mill to grind wheat builds your hand muscles. Many women are farm labourers too and spend their early morning in the field which ensures that they are not Vitamin D deficient. Farm work itself provides exercise to upper and lower body, limbs. And guys, this is hard labour work. Household chores are considered to be boring and financially worthless but we cannot deny that they are helpful in keeping many of us fit. You will not find many women with a bulging stomach in villages! This does not mean we all become farmers, but kick the laziness now to be healthy! A citrusy scent is a potent mood booster, according to a 2014 Japanese study. Research shows that spending as little as ten minutes inhaling a citrus fruit can decrease the overall mood disturbance, a measure of tension, anxiety, depression, confusion, fatigue and anger. So carry a citrus flavored soap when you do your dishes. According to Ayurveda, you will be in touch with the water element of existence which is an instant mood elevator. This is also a great time to practice breathing exercises. People in the gardens are in touch with the energy of the earth and sun. According to Ayurveda, the energy from these two play a critical role in balancing one’s health. Apart from that, you breathe fresh & the vitamin D is critical for your health. 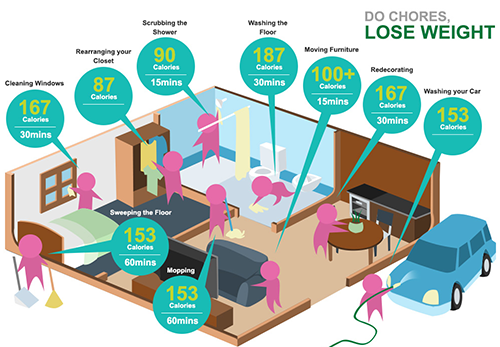 In recent Swedish study it was found out that people with sedentary life style, spending most of their time indoors are likely to suffer from more cardiovascular diseases. Australian researchers discovered that a chemical released by freshly cut grass makes people feel more relaxed and more joyful. Gardening is known to have reduced depression according to a study done in Norway. People diagnosed with depression spent six hours a week gardening; after a few months, they experienced a notable improvement in their depression symptoms, and their good moods continued for months after the study ended. Well, you might not be able to have gardens in cities, but get on with your small flower pots, indoor plants, or best, have a volunteer group, adopt a village and help the farmers! This extremely boring task is usually diverted to the maids in our houses in India. However, if you have the time, do it yourself with complete mindfulness. Ensure that every slice is of the same size and watch your breath. It is bound to increase your awareness and concentration. According to a 2015 study from the University of Alberta. “If a partner isn’t pulling their weight in housework, either one will have to pick up the slack, or the chores will remain undone. This will develop tension and bitterness in the relationship, which will transfer into the bedroom,” according to Medical Daily. So all you orthodox men out there, share the chores for some awesome time in bed! Every household chore is equivalent to an exercise in a gym or in a park. Did you know 30 minutes of ironing equals 11 minutes of step aerobics.Think of ironing as weight training for the upper body? Make sure that you stand up straight and work your arm muscles hard as you press down. And remember to change hands regularly, so that you don’t end up with one arm more muscular than the other. For a complete work out, play with your children in your garden, run after them and trust me you won’t go fat! Be happy! Be healthy! 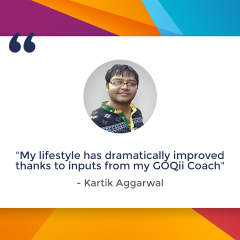 Track these yourself with your GOQii band! The alarm is set for 6 am to go for a morning walk, filled with determination to start on a routine walk from the next morning, she went to sleep early. But, like any other day, the alarm went off but, as usual, she couldn’t get out of bed. With each passing day, it got difficult even to get up for work. This happened almost for 2-3 months when Ananya realized this was not just laziness but something beyond and decided to see the doctor. Ananya described that she had no energy to wake up in the morning and felt tired and exhausted by the end of the day. Sounds familiar??!! Yes, this happens to many around us or even to us. This Syndrome is called fatigue. 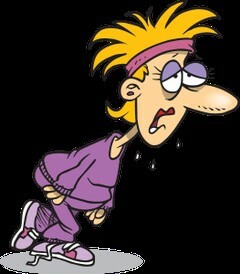 Fatigue is generally defined as a feeling of lack of energy and motivation that can be physical, mental or both. Fatigue is very common. Fatigue can be caused by Physical (around 60%) as well as Mental causes (40%). Unfortunately, it can also occur in normal individuals that experience intense physical or mental activity (or both). 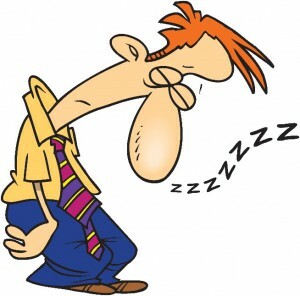 However, in contrast to fatigue that occurs with some diseases and syndromes, normal fatigue in healthy individuals is quickly relieved in few hours to about a day when the physical or mental activity is reduced and adequate rest is taken. 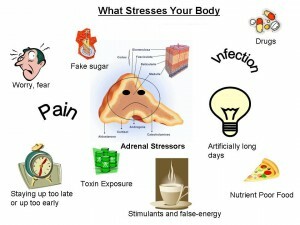 So what are the most common causes of fatigue?? Sleep Problems-Sleep Apnea, insomnia working in shifts or work shift changes, pregnancy, extra night hours at “work”, gadget time. For such problems, including foods like nuts or milk that are rich in tryptophan (sleep inducing hormone) can help get better sleep. Dysglycemia – Skipping Breakfast, long gaps between meals is known to cause irregular fluctuations in sugar levels. To avoid such irregularities one must have a healthy breakfast every day preferably within one hour of waking up. Always plan for a mid-meal snack especially when the gap exceeds 5 hours. Nutritional deficiency – Eating a healthy, balanced diet (proteins, carbohydrates, fats and fibre) is an important part of maintaining good health, and can help you feel your best. Include fruits, whole grains, and protein rich foods and avoid junk food, processed/packaged food. Gut disturbances – An acidic body doesn’t allow oxygen to be absorbed and in turn causes fatigue. Gastric issues like bloating, constipation, food sensitivity/allergy, leaky gut (gastric reflux) all create havoc in our body resulting in physical and mental fatigue. Including adequate quantity of fibre, probiotics like curd and a good intake of water keep your gut happy and healthy. Caffeine overload – Limit tea/coffee/green tea to 2 cups/day. Avoid having it post sunset and near bed time. Dehydration – When dehydrated, the fluid loss causes a drop in blood volume, which makes the heart work harder to push oxygen and nutrients through the bloodstream to the brain, skin, and muscles. Maintaining a water intake to 2.5-3 litre is adequate for the majority of the population. Metabolic/endocrine causes – Vitamin D deficiency, Hypothyroidism, Diabetes, Electrolyte abnormalities, kidney disease, Liver disease can all cause varying degrees of fatigue. Anemia (Iron deficiency, Vitamin B12 deficiency) – It is one of the most common reasons of fatigue or tiredness in India and especially common amongst the women. Infectious diseases -Viral infections, Hepatitis, Tuberculosis, cytomegalovirus (CMV), HIV infection, Influenza (flu), Malaria and many other infectious diseases. Medications –It might come as a surprise to you but many drugs like antidepressants, anti-anxiety medications, sedatives, antihistamines, steroids and even some blood pressure medications can cause fatigue. Mental Health (psychiatric) –Stress, Depression, Anxiety, Drug abuse, Alcohol abuse, eating disorders, (for example bulimia/anorexia), Grief and Bereavement are all few of the most ignored causes of fatigue. Awareness and proactive management of mental disorders is a must for living healthy. Depending on the above reasons, the right treatment must be decided as it is important that the root cause of fatigue be treated and not just the symptom. In the case of Ananya, on taking a proper history and some blood tests, she was found to have nutritional and Vitamin D deficiency. Once these were corrected she felt strong and active enough to start with her healthy regime. Fatigue is a natural part of all our lives, because of which we tend to ignore it and instead learn to live with it which in the long run causes more trouble. We must look out for tell-tale signs of things we could do earlier but can’t do anymore, unrelated aches and pains or headaches and if found positive we must seek the right help. Don’t let feeling tired today ruin your attempt to feel healthy tomorrow!